Engineering New Zealand’s new President Ben Holland says diversity and inclusion will be a strong theme of his tenure. A Wellington-based civil engineer who is Head of Commercial and Major Projects Governance at WSP Opus, Ben says he is determined to make the engineering profession more welcoming and accepting of all people. He is a strong supporter of the Diversity Agenda, a collaboration between Engineering New Zealand and the Institute of Architects that’s set a target of 20% more women in engineering and architecture by 2021. “I want to see the Diversity Agenda ramping up and pushing our industries to embrace all forms of diversity, including diversity of ethnicity, religion and sexuality. “I also want to keep broadening Engineering New Zealand’s membership outside our traditional civil and structural spheres, into fields like software and medical-device engineering. 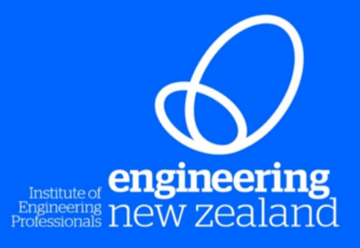 Engineering New Zealand currently has 22,700 members, up from 15,000 four years ago. Ben succeeds Dean Kimpton in the role, which has a one-year term.